Schnufe is a piece that deals with gender powers and uncover ways of control and manipulation of each other. On intimacy we reveal our most hidden feelings; our fears, our insecurities, our need for attention, manipulation and desire for power and control. We can show our most frightening presence and allow the basic instincts to take control, sometimes in the form of violence. Violence is so present in private sphere that can become normalized, accepted and invisible, and therefore even more dange- rous. Gender violence grows on intimacy and takes multiple forms; from physical violence to subtler ways such verbal, gestural or psychical. There is a need to unveil those practices and make visible what our society transformed harmfully to invisible. In Schnufe we aim to create an intimate space with the audience where the performers expose their desire for power and the need for control of the other. Music and movement work in the tension between dictating and reacting / manipulating and coexisting / leading and revolt. The piece is cons- tructed by this game of powers, an energy that transcend any conventional form and lights the most primitive ways of relating to each other. 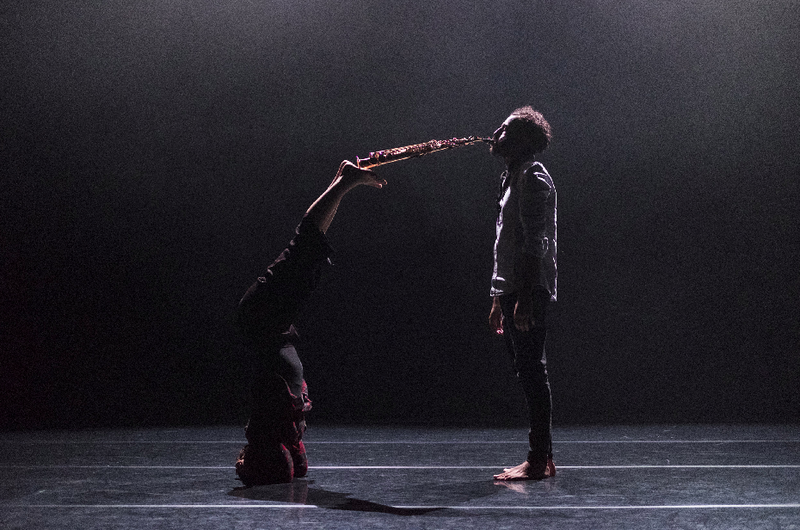 Schnufe was created during 2018 with the mentorship of Fred Frith, and it was premiered at Theatre Roxy during the International Tanz Fest Basel in May 2018.